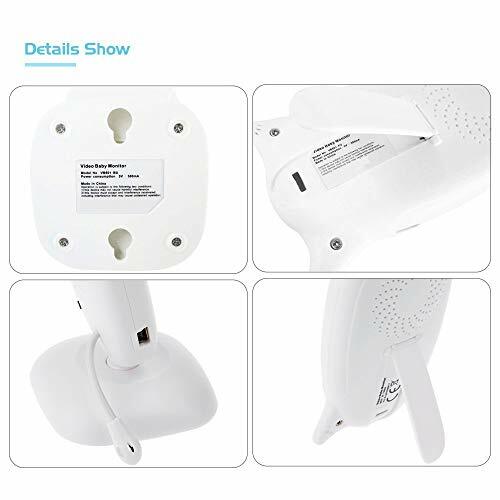 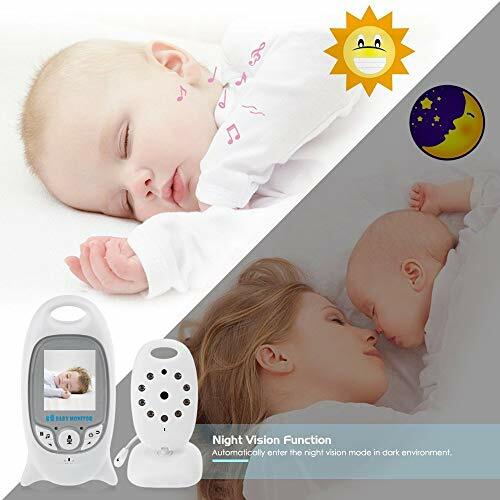 Reliable 2.4 GHz FHSS Wireless Technology – This baby monitor gives you great peace of mind when your little ones are asleep upstairs and you are downstairs. 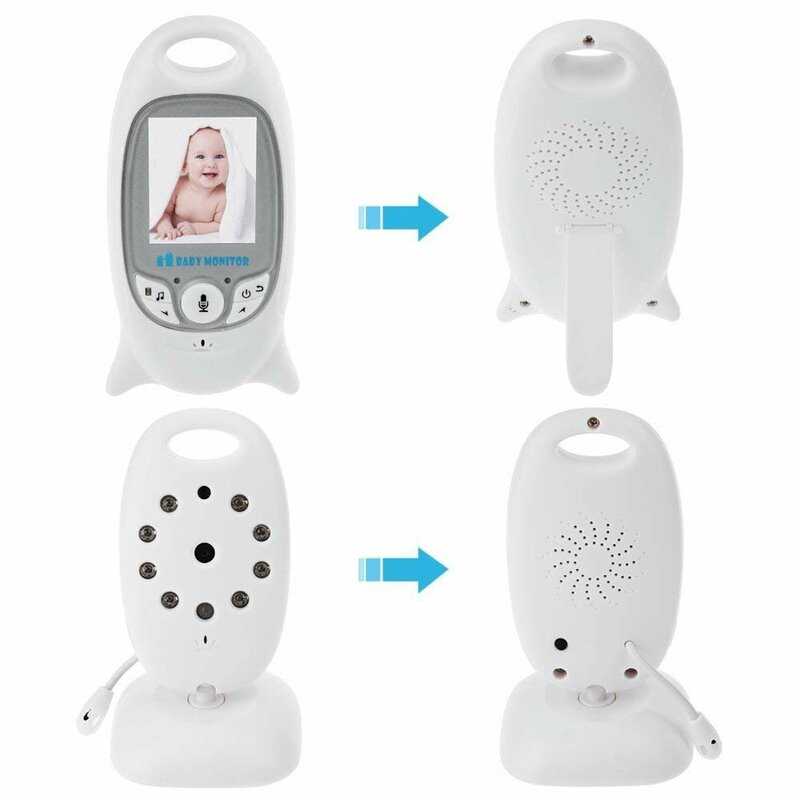 Privacy and security are 100% ensured. 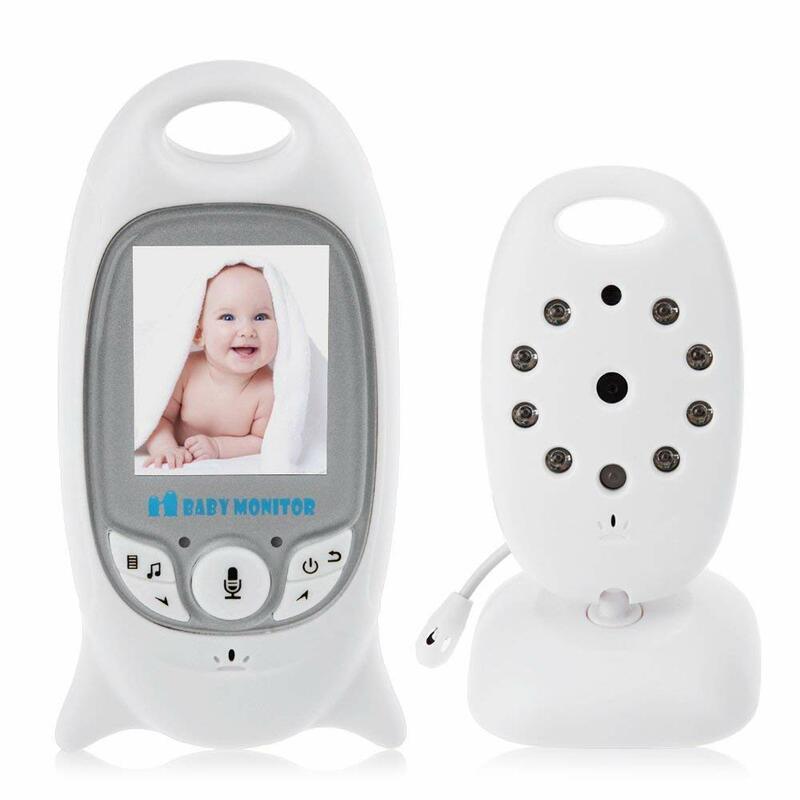 Temperature Monitoring and LED Night Vision – You can measure the temperature around your baby easily using the baby monitor.The night vision will turn on automatically when you put the camera in the dark. 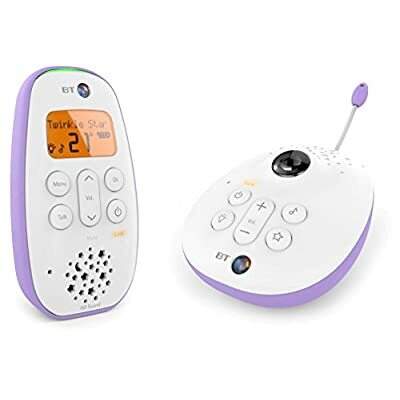 2 Way Talk Back – With the two-way communication function, parents can speak soothing words to babies and put baby at ease when babies getting agitated at night. If you can’t hear the sound, please firstly check if you turn on the VOX mode. 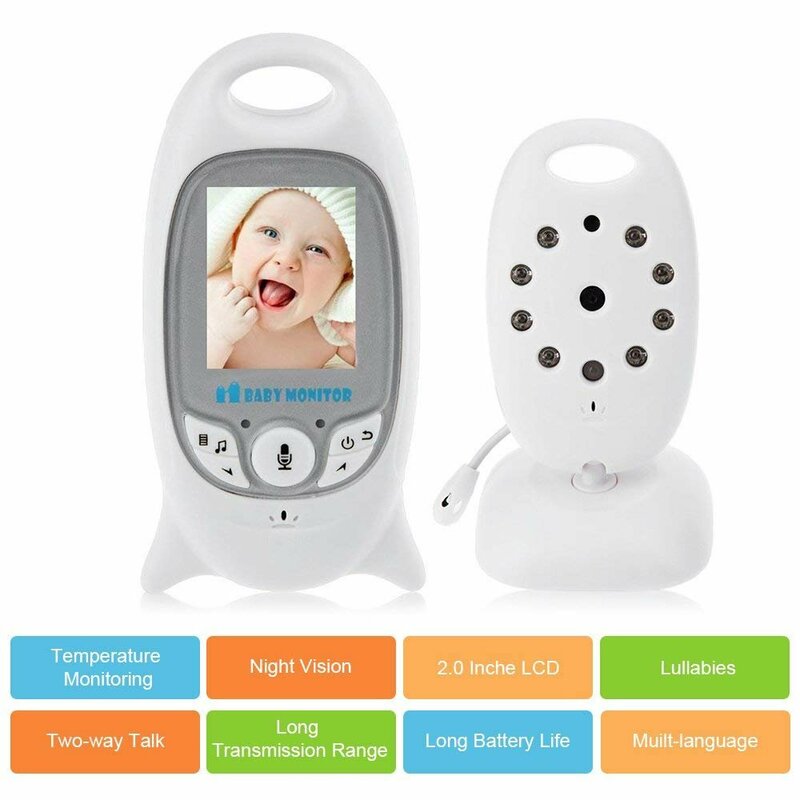 The baby unit doesn’t have built-in battery. 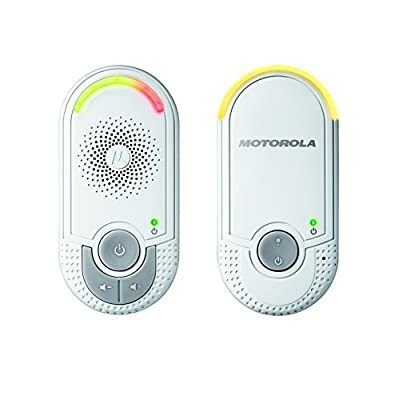 Working Range: 100m. There must be without obstruction which would influence the signal. 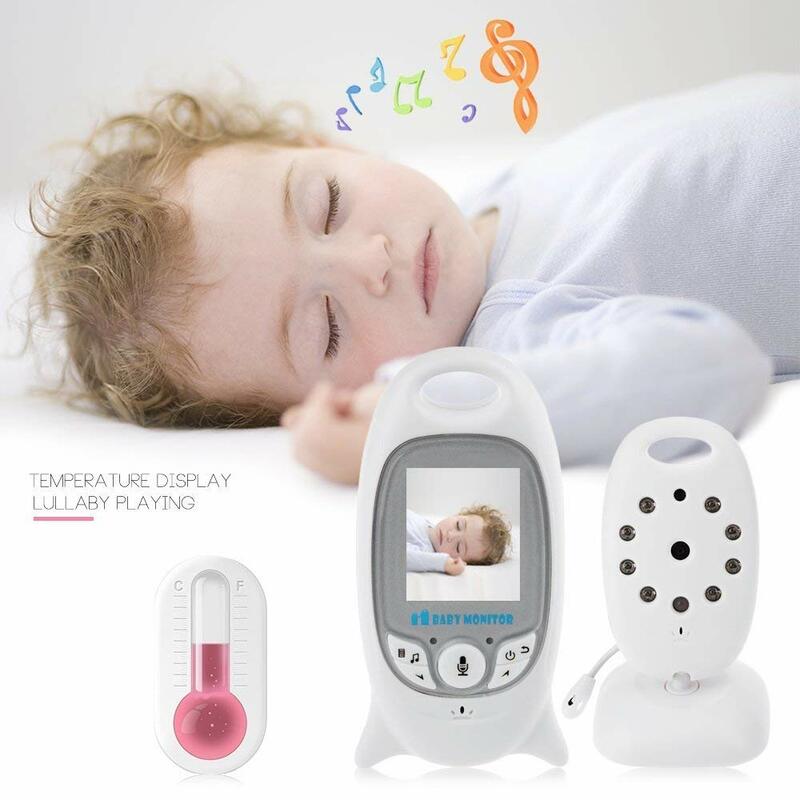 The parent unit has a built-in battery (500mAh) which lasts around 2 hour (but that depends on how often you use it). Built-in lullabies – You can play built-in lullabies to comfort your babies whenever you want and help babies falling asleep. 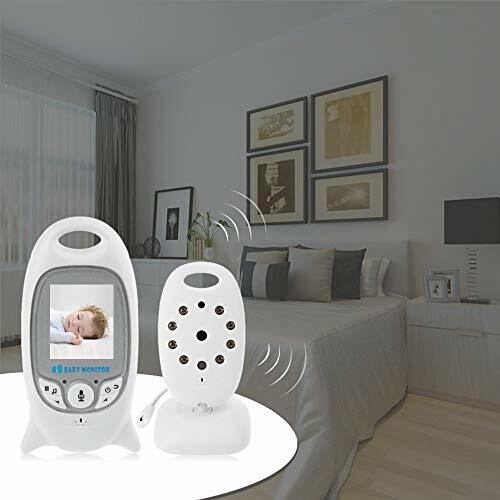 Applications – Can also be used for a monitor which is applicable to the care of the elderly and the supermarket, office, security companies, schools, families, hospitals and small places.